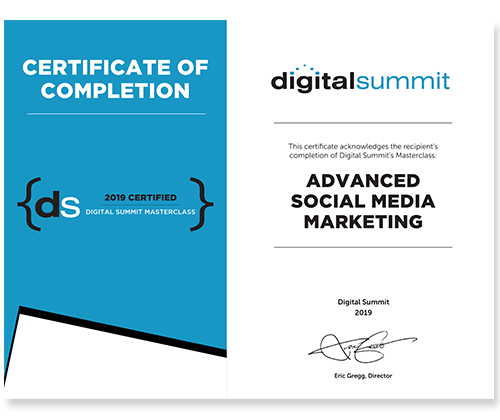 Thanks for choosing to attend one of our Masterclasses at Digital Summit Minneapolis! You’re welcome to attend either of the two Masterclasses. Please download the workbooks now (click on the buttons below) to the laptop or tablet device you plan to bring with you to the event. Be sure to download it prior to the event to save time (and WiFi bandwidth) on site. You’ll want to have it with you to get the most out of the Masterclass. If you plan to attend the Analytics Masterclass, please bring your login for Google Analytics in order to get the most out of the exercises during class.